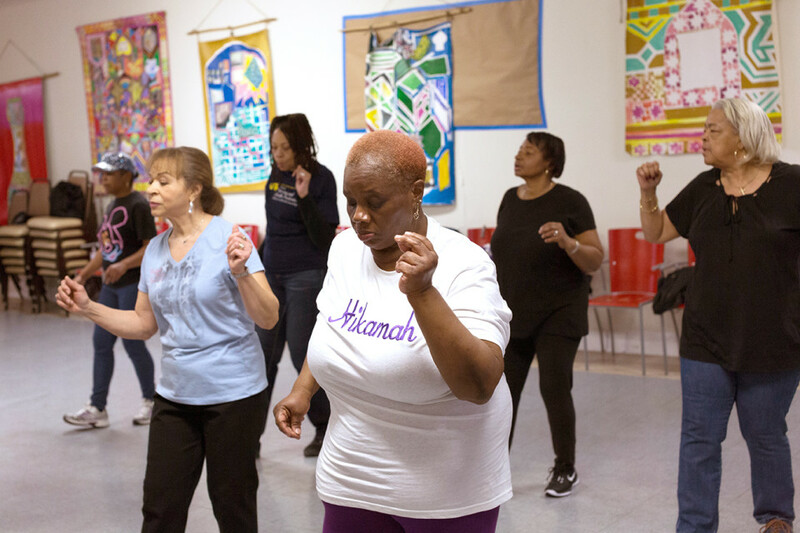 Line dancing is a heart healthy activity that can improve balance and boost your mood. Oh, and did we mention how fun it is? There is something special about the energy Hikamah brings to a room. 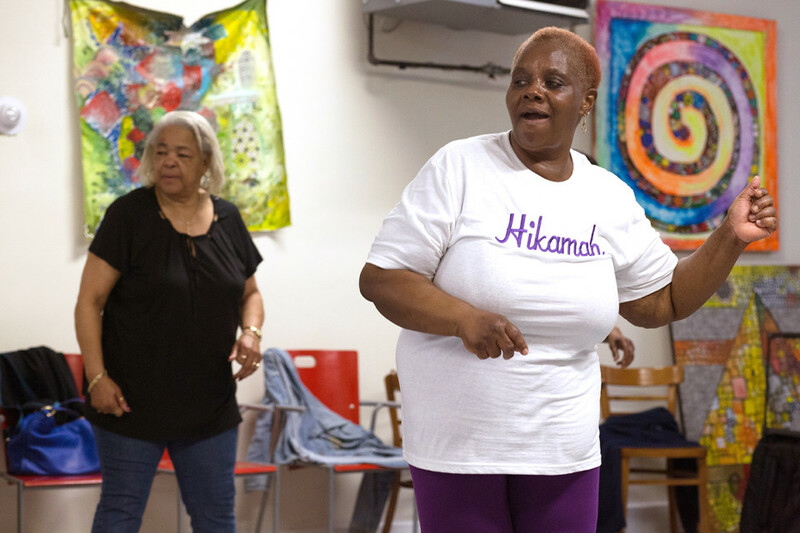 With arms raised and an honest smile, Hikamah has found her stride to the rhythm of soul line dancing and has no plans to look back. But everything changed when a chance encounter reunited Hikamah’s husband with an old friend. That friend turned out to be superstar soul line dance instructor Gloria Kingcade, who invited the whole family to check out one of her classes. For Hikamah, that invitation marked the start of a healthier life. When Hikamah first started line dancing her main focus was just getting down the complicated steps. “I would sit down and follow along with my feet. And once I got up I wasn’t even thinking about losing weight.” But since starting her fitness journey in 2002, Hikamah has lost over 250 pounds. One step at a time Hikamah has built up the strength to incorporate fitness into her everyday life. 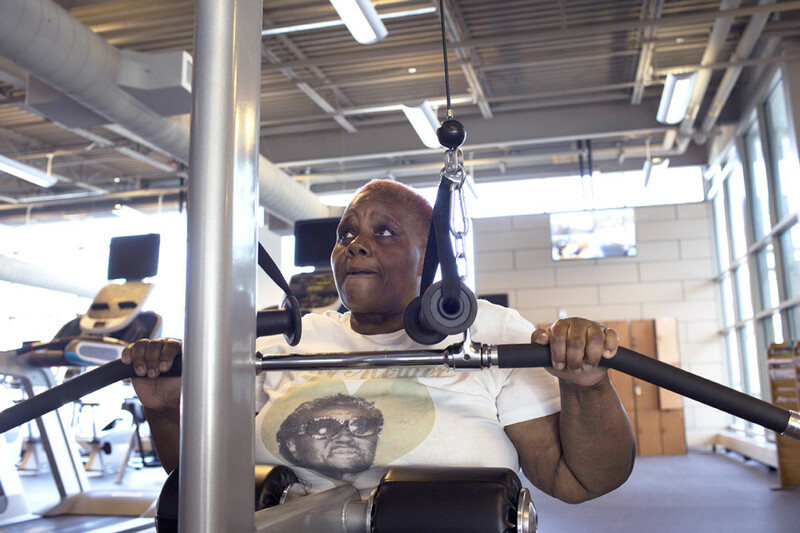 A little over a year ago she started working out at the Stephen Klein Wellness Center YMCA. With the help of a trainer, Hikamah has mastered machines she had never dreamed of trying and found a fitness routine that doesn’t aggravate her health conditions. If there is one thing that rivals Hikamah’s energy, it’s her genuine care for others. Making lifestyle changes is not always easy, but Hikamah encourages anyone who is looking to improve their health to be patient, because how you feel at the end of the day makes it all worthwhile.